This entry was posted in Blog on October 20, 2017 by Lauren Pearson. 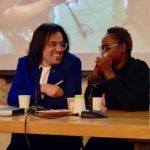 Cinematic experience: Curating the Moving Image: From Cinemas to Galleries with Kate MacKay (BAMPFA), October 4, 2017. The lights come down and the screen gets adjusted to a 16mm projection (which is a spectacle in itself). Associate film curator at BAMPFA, Kate MacKay chooses to start the lecture with Luminous (2001), by Alexi Manis, a short film portraying a collection of images reflecting on a projection room. In a way, this choice was a self-reflection, as MacKay later explains to the audience: the importance of being a projectionist on her own path and career, as it also introduced the idea of the “behind the scenes”, as well as new perspectives on how we can perceive the moving image. MacKay’s personal path and love for cinema had a turning point when, early as a student, she started realizing that many artists, such as Marcel Duchamp or Man Ray actually used this kind of media in their works. Cinema had an entire new connotation and a much broader perspective than she was used to. 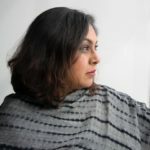 With that, she started being more involved with programming, and later got a job as a projectionist, which put her in contact with a wide variety of films. 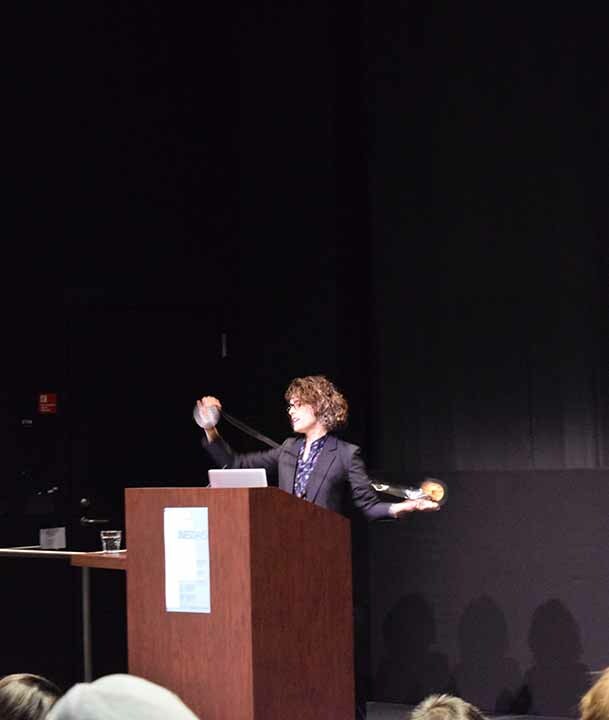 Being a projectionist had enormous advantages and not only extended MacKay’s vocabulary in the field, but also, very importantly, made her think about the format in which those images were being displayed, and to critically reflect on the best ways to view each piece. In the digital era of on-demand movies that we watch on our laptops today, it is important to acknowledge the appreciation one can have for the cinema theater, for the details of the images, surround sound, and the understanding of the way the images are actually meant to appear. The theater space also brings a spatial mood and mindset to the experience, where the audience interacts with a broader group of people, thus, creating a larger emotional impact on the viewer. On the other hand, it is also interesting to recognize the various mediums that the moving image can occupy, beyond the theaters. In that sense, MacKay talked about her experiences curating film series, and introduced some of her practice of working with (or in collaboration with) galleries and other independent spaces, where the projections take different and unusual formats, where they can even consist of no projection at all. From a more traditional perspective on the role of a film curator or programmer, MacKay talked about the selection process and the different perspectives one can have when creating a thematic film series. 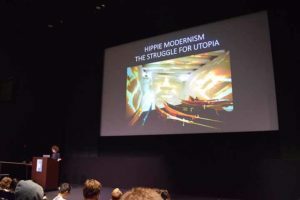 Sometimes the curator is working with a pre-defined theme, as was the case in the film series MacKay did in parallel to the exhibition Hippie Modernism: The Struggle for Utopia (that was on view at BAMPFA early this year). Another style of curating can come from inspirational directors, such as the series the curator produced on First Nation director Alanis Obomsawin at BAMPFA. Sometimes, as MacKay explained, even though you have a pre-set budget from your institution, you also have to reach out for external funding, supporters and partners. This was the case for Committed Cinema: Alanis Obomsawin series. But this also allowed her to fly the director in for a series of conversations that MacKay curated together with a group of scholars and activists related to discussions on First Nations communities. Coming back to the idea of the alternative screenings and views on the moving image, this also comes up as a challenge for curators (and viewers) today. As MacKay mentions, “curating film and images can also be made of no image at all, except the ones in your head”, referring to the work of artist Deborah Stratman Tactical Uses of a Belief in the Unseen (2) (2012). Stratman’s production, truly a sound piece, creates a certain environment and mindset in the spectator that provokes a belief in the unseen through memory and association, ultimately creating a cinematic experience. Media and film have their importance in the big screen, but sometimes, they can also be understood from different angles. MacKay’s screening of Luminous shows how this new perspective on the form can come from various places, including right where the film is being projected from. What does it mean to curate? How has the role of the curator changed in our contemporary moment? 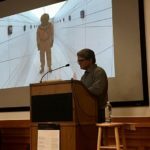 Does the curator function differently in the performing arts, the visual arts, film, and in the fields of science and technology? And, how has curating changed as it responds to new forms of cultural and digital participation? When curation has become a popular metaphor in many domains –from food, to music, to social media — how do we define this expanded practice? 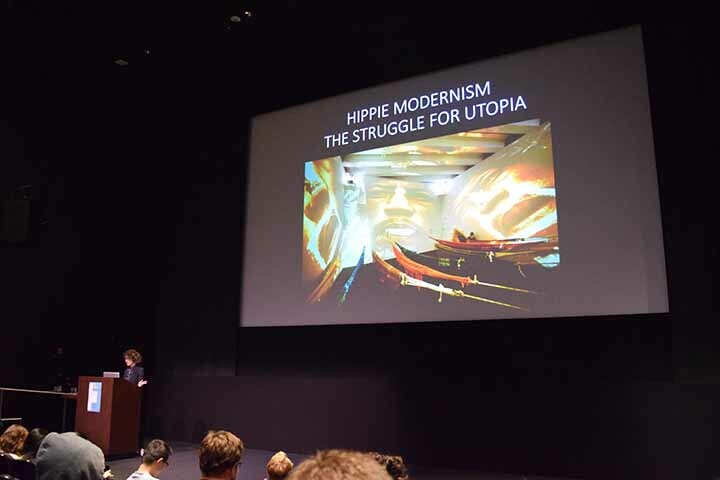 Co-taught by Shannon Jackson, Associate Vice Chancellor of the Arts + Design; Natasha Boas, independent curator, art historian and critic; and Eric Siegel, Director of the University of California Botanical Garden at Berkley, Arts + Design Wednesdays @ BAMPFA will explore this theme with some of the most innovative and incisive writers, artists and scholars of our time. Learn more here.